Gauge/gravity duality creates new links between quantum theory and gravity. It has led to new concepts in mathematics and physics, and provides new tools to solve problems in many areas of theoretical physics. This book is the first textbook on this important topic, enabling graduate students and researchers in string theory and particle, nuclear and condensed matter physics to get acquainted with the subject. 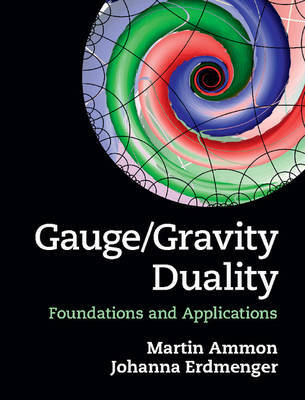 Focusing on the fundamental aspects as well as on the applications, this textbook guides readers through a thorough explanation of the central concepts of gauge/gravity duality. For the AdS/CFT correspondence, it explains in detail how string theory provides the conjectured map. Generalisations to less symmetric cases of gauge/gravity duality and their applications are then presented, in particular to finite temperature and density, hydrodynamics, QCD-like theories, the quark-gluon plasma and condensed matter systems. The textbook features a large number of exercises, with solutions available online at www.cambridge.org/9781107010345.